God does what He says He will do. This is a God-Fact I have been mulling over lately. I find it very comforting when faced with difficult situations. No matter what, we can rely on God to keep His word. The wickedness of mankind had increased greatly since God had created the world. God looked down upon the earth and was grieved because even the slightest inclination of each person’s heart was tainted with evil all the time. The Lord decided that He would wipe mankind from the face of the earth – all the men, women, and animals. As He looked down He saw one man who found favor in His eyes. His name was Noah. God told Noah His plans for destroying the earth. He gave him complete instructions to build a large boat in which anyone who entered could be saved from the impending doom. God explained that he would bring a huge flood upon the earth which would destroy anyone or any living creature that was not inside the large vessel. Even though Noah had never seen a flood, he believed the word of the Lord and did everything just as the Lord commanded him. For 120 years Noah warned his friends and neighbors about the coming waters. He endured teasing and ridicule, but held tightly to the truth that God would do what He said He would. When the final day arrived only Noah and his family, along with a pair of every kind of living animal, entered into the great boat and God shut the door. The rain began to fall and the floodgates of heaven and earth opened up. For forty days and nights the flood kept coming. 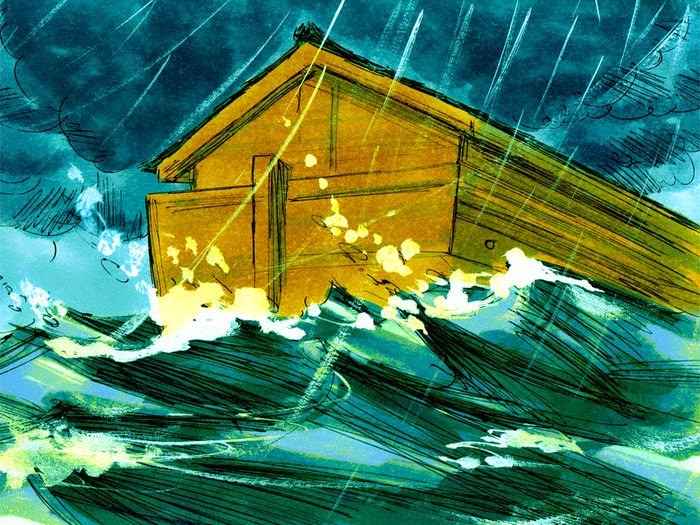 The waters increased and lifted the ark where it floated on the waves. All of mankind perished in the flood except for Noah and his family because these faithful ones trusted in the fact that God would do what He said He would do. They acted on this God-Fact and because of their faith they alone were saved. Our God is the same today as He was in Noah’s day. When He says He will do something, He will always follow through. Since He promises to hear the cry of the brokenhearted, call out to Him. Since He promises to provide for all our needs, look for His provision. Since He promises to give wisdom, His guidance is only a prayer away. Since He promised He will come again, He will come – look for Him in the skies! When you are facing a difficult situation, search the Bible to see what He says and then trust in His word. Because God does what He says He will do and that is a God-Fact that will float your boat!